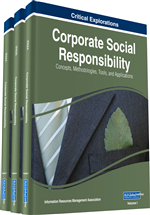 Corporate Social Responsibility has become more significant among companies and other institutions. Nevertheless, the traditional approach of corporate social responsibility, based on preventing the possible negative impact of irresponsible and unethical practices, is no longer enough. The profound socio-economic changes, accelerated as a result of the global economic crisis, demand a further step respect to corporate social responsibility paradigm linking to the so-called social entrepreneurship, understood here as the incorporation of new social demands to business models. This chapter aims to redefine the concept of social entrepreneurship from an eclectic point of view and present a methodological approach for their measurement as a tool for business strategic planning. The theoretical proposal of social entrepreneurship tries to link creating shared value concept with the stakeholder theory, paying special attention to the Social Return on Investment (SROI) method, together with neuroscientific approach, as tools for the measurement of social value. At present a stage of profound changes is coming about that cannot be ignored by any institution, with strong impact on global economic order as well as the field of entrepreneurship, in particular. An increasing loss of credibility of corporate social responsibility actions by consumers has been shown in a recent study by Creafutur (2012). Thus, corporate social responsibility programs have been regarded as a purely cosmetic gesture by 78% of Spanish, 76% German and 80% French population. The socio-economic changes, accelerated as a result of the global economic crisis, demand a further step respect to corporate social responsibility paradigm linking to the so-called social entrepreneurship, understood here as the incorporation of new social demands to business models. This is a question of linking the social innovation to the company value creation, so that demands of society are met from a holistic approach to business. Attention should be drawn to two significant changes closely interrelated. On one hand the growth of collaborative economy and on the other hand, changes in the consumer’s behavior and social values. The preference to the access of goods and services in comparison to their ownership. Collaborative interest and common welfare versus individualism and material wealth. Sustainability and a more efficient use of resources. A reduction of intermediary actors to provide goods and services. Citizen empowerment opposite governments and institutions. Growing role of prosumer as an active provider of goods and services. Collaborative economy is spreading across all the sectors of the economy and although it is not still relevant from an economic point of view, is increasing rapidly. The impetus for collaborative economy is a consequence of a change in the social values and consumers’ behavior. Consumers have adopted an active and critical role in economy. We are no longer talking of passive and submissive but informed and demanding consumers as generators of ideas and opinions, shaping consumers’ purchasing decisions, who wish to have their viewpoint heard by companies. It is in that context that social entrepreneurship, as a new perspective of corporate social responsibility, makes sense. An increasingly prominent role by companies should be played to satisfy new social demands, from both strategic and systemic approach. Measure the impact of any activity on the stakeholders. Align company’s objectives and the stakeholders’ ones. Assess the social value creation of the activity by a company. Measure the impact on the company’s reputation. When an activity or action is undertaken by a company, expectations, insights, attitudes and feelings on the stakeholders should not only be taken into account but also the impact of that activity on the company’s social value. The main objective is to maximize the value derived from the actions to the society as a whole that means to align the company’s objectives and social demands. This is what is known as social entrepreneurship. The impact on the social value can be measured by the effect of the activities of the company on the stakeholders, that is, people or interest groups influenced by positive or negative factors such as: investors, employee, customers, suppliers, social environment and so on.